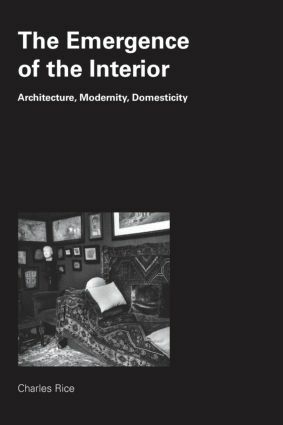 Taking a radical position counter to many previous histories and theories of the interior, domesticity and the home, The Emergence of the Interior considers how the concept and experience of the domestic interior have been formed from the beginning of the nineteenth century. It considers the interior's emergence in relation to the thinking of Walter Benjamin and Sigmund Freud, and, through case studies, in architecture's trajectories toward modernism. The book argues that the interior emerged with a sense of 'doubleness', being understood and experienced as both a spatial and an image-based condition. Incorporating perspectives from architecture, critical history and theory, and psychoanalysis, The Emergence of the Interior will be of interest to academics and students of the history and theory of architecture and design, social history, and cultural studies. Charles Rice is Senior Lecturer in the School of Architecture at the University of Technology, Sydney.